The amazing success of the Tesla model S proves that electric cars may have a chance of replacing liquid fueled vehicles in the long run. Skeptics point out that most of our electric power today comes from coal, which is dirty and inefficient. We must change to clean, renewable energy sources but is that really practical? The Tesla has proven that we can use photovoltaic solar power to recharge pure electric cars. Let’s calculate how much land is needed to renewably fuel a car using several possible electrical and biofuel approaches. This car has FOUR 138 KW MOTORS (one on each wheel with its own individual drive mechanism). The cornering ability at high speeds is beyond belief! They can alter torque instantly (without braking - something not possible in an ICE car) to improve cornering. Way too pricey but this quiet, maintenance free machine is definitely the wave of the future. The Germans are not waiting for the fossil fuelers and nuke pukes to realize that unsustanable dirty energy has to go. In the video above, everyting you see is technologically possible NOW. The video is a trip to a future when gasoline stations are part of our fossil fuel folly energy PAST. If gasoline stations are to survive at all, they will have to be renewable energy ethanol fuel stations instead. New all-electric Type A school buses will hit the road in 2014, due to a collaboration between Trans Tech Bus, and Motiv Power Systems. Called the SST-e, the first all-electric school bus developed in the partnership will go to Kings Canyon Unified School District, in the San Joaquin Valley of California. The bus is funded in part by the California Air Resources Board AB 118 Air Quality Improvement Program Electric School Bus Demonstration Project. The new SST-e bus was revealed at the 2013 National Association for Pupil Transportation (NAPT) Annual Summit in Grand Rapids, MI. The buses are built on Ford E450 chassis, utilizing the all-battery, all-chassis compatible Motiv electric Powertrain Control System (ePCS).The ePCS is installed as a Ford ship-through chassis modification similar to a Compressed Natural Gas (CNG) modification, enabling minimal changes between the fossil fuel and electric versions of the school buses. Passenger capacity for the Trans Tech/Motiv SST-e all-electric school buses is up to 32 students for this Type A bus, or 24 students and 1 wheelchair. "An electric bus can save a school district about 16 gallons of fuel a day, or around $11,000 in fuel savings over a year, not to mention maintenance savings," said John Phraner President of Trans Tech. "We are very excited to continue to help school districts reduce their transportation budgets and are committed to opening the market for the all-electric school bus." The SST-e buses are built on Ford E450 chassis, using the Motiv ePCS, which is compatible with a wide variety of chassis and batteries. The ePCS allows buses to be compatible with any battery currently on the market or available in the future. Additionally, one pack can be replaced without replacing all the batteries on the vehicle. The new all-electric SST-e school buses are available with four or five battery packs, providing districts with range options of 80 or 100 miles. With Motiv's onboard fast charging technology the buses can reach 50 percent charge in under an hour and full charge in 8 hours. Motiv's low-cost 3-phase fast charging, requires minimal building modifications and no expensive charging stations. The buses are also equipped with telemetry systems, providing real-time route data and preventive maintenance reports to fleet managers. The cloud stored data can be viewed on the web and on smart phones, helping them manage improved driver performance and safety management. 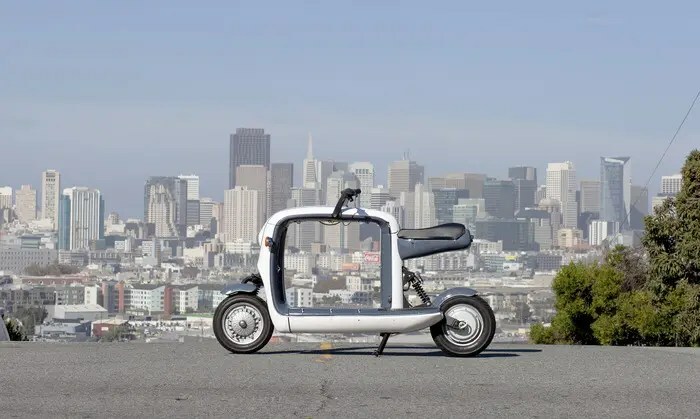 "Our system is battery agnostic, it 'future-proofs' fleets against changes in the battery market, such as discontinued batteries or future improved technology," said Jim Castelaz Founder and CEO of Motiv. "This makes a Motiv equipped bus the most flexible and customizable all-electric powertrain for trucks on the market. We are thrilled the ePCS will be assisting schools get the most out of their transportation dollars, while at the same time educating children on clean transportation." Mickey Mouse is on board. Another nail in the Internal Combustion Engine (ICE) coffin. Once millions of people on vacation have driven an electric car, they will never want an ICE car again! If they can get this into production, it will massively boost EV sales. I hope they do well. The EV is THE thransport of the future! What I think the Lit Motors squad really nails is combining the fun of electric scooters with serious utility and wonderful style. I love its products, and can’t wait to test one out! Designed and built as a side project, the idea for the kubo came about because they “couldn’t find a good quality electric scooter anywhere”. 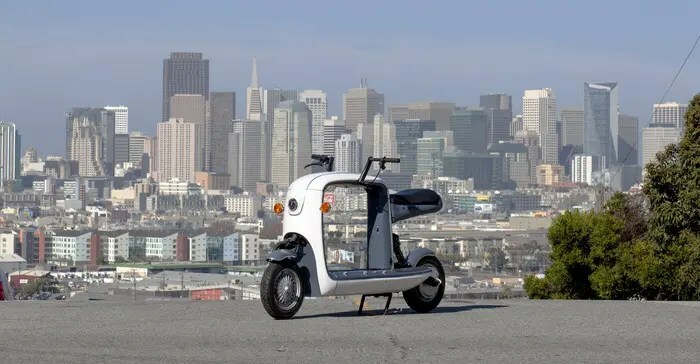 This 100% electric scooter looks a bit odd, when compared to traditional moped and scooter designs, but that’s because it’s made specifically to haul more than just a person. The 22″ square cargo area within the frame of the scooter has loops, hooks, and rails to secure your gear while in transport, and the kubo can handle up to 300 lb (rider’s weight plus the cargo). kubo has a top speed of 45 mph, and a range of 50 miles per full charge. The onboard charger can be plugged into any standard outlet and is said to charge the scooter “in a few hours”. I could see kubo doing very well, but the first hump it has to climb is a $300,000 crowdfunding target set by the Lit Motors crew on Kickstarter. Head on over there to help it out. For more cool scooter stories, I’d recommend the excellent collection over at Gas2. For the hottest EV news, definitely keep an eye on our EV category or even subscribe to our free EV newsletter. In great news for electric cars, Nissan says its electric Leaf is profitable now, and they are ramping up US production. Cutting the price helped a lot - since the $6000 cut on the sticker price, demand has been growing. And the Leaf is the top reason customers are referred to the Nissan brand, Jose Munoz, Senior Vice President of Americas sales and marketing told reporters at an automotive conference, reports Reuters. "From a purely attraction and branding point of view it's already a very good car," he says. When Nissan shifted manufacturing of the Leaf from Japan to the US it was able to cut the price by more than $6,000, bringing the sticker price to $29,650. Since then, more than 2000 Leafs have sold per month, up from 9800 for all of 2012. There are 34,000 Leafs on US roads today and 75,000 worldwide. It has a 75-mile range, rated at 115 miles per gallon equivalent. Meanwhile, BMW, which just delivered its first electric car in Germany, says it already has orders for 10,000 cars. Its i8 plug-in hybrid sports car, which debuts in mid-2014, is sold out. And Volkswagen announced it will electrify all segments of its car lines by equipping manufacturing plants with standardized assembly kits. "We are able to produce cars on the same assembly line, bumper-to-bumper, with conventional, electrified, and CNG powertrains. This flexible strategy enables us to react fast and cost-efficiently to actual demand and thus reduces risks," says Rudolf Krebs, VW's Commissioner for Electric Drive Systems. By 2014, VW will have 14 models of hybrids, plug-in hybrids and all-electrics. As demand rises, they will be able to outfit up to 40 models with alternative drivetrains. The company - which plans to manufacture batteries in-house - has hired 400 experts and trained 70,000 employees in e-mobility development, production, and servicing, says Krebs. "The objective of the program is to continuously improve the environmental compatibility of the production process," explains Peter Bosch, Head of Strategy, Processes and Organizational Structures. By 2018, waste, energy, water consumption, solvents and carbon emissions will be down 25%, while renewable energy will increasingly power factories. Last year, plug-in and electric cars were the fastest growing segment of the US automotive industry, but carmakers still rely on larger, conventional cars for their profits. Norway crushes it in market penetration of electric cars, already hitting about 4% of the market (primarily through the availability and sale of just 2 electric car models). You may have caught my story the other day pointing out that the top-selling car in Norway two months in a row was an electric car (the Tesla Model S in October and the Nissan Leaf in November). Unfortunately, they didn’t top the list again in November; however, the overall share of electric car sales was the highest to date. 1,434 of Norway’s 12,079 new vehicle registrations in November were for electric cars. That amounts to a 12% market share, even considerably more than in September (8.6%) and October (7.2%). Furthermore, the Nissan Leaf and the Tesla Model S did both make it into the top 10. The Model S was #2 at 527 registrations and the Nissan Leaf was at #5 with 512 registrations (just a 15-car difference). The Volkswagen (VW) Golf took the top spot with 666 sales, an apt number for the slightly downbeat news. 2014 should be a very interesting year. The BMW i3 and the VW e-Up! are coming to the Norwegian market, and I think also the Renault Zoe and Renault Fluence ZE, and the i3 and e-Up! reportedly already have over 1,000 orders each! Note that electric car sales in the US are still far below 1% of total car sales. Stay tuned for some even more uplifting Norway electric car news, including some exclusive interviews with EV leaders in Norway. The Mitsubishi i-MiEV has long be the Spartan contender in the US plug-in vehicle scene. It's basic electric transportation with a low-ish price tag. 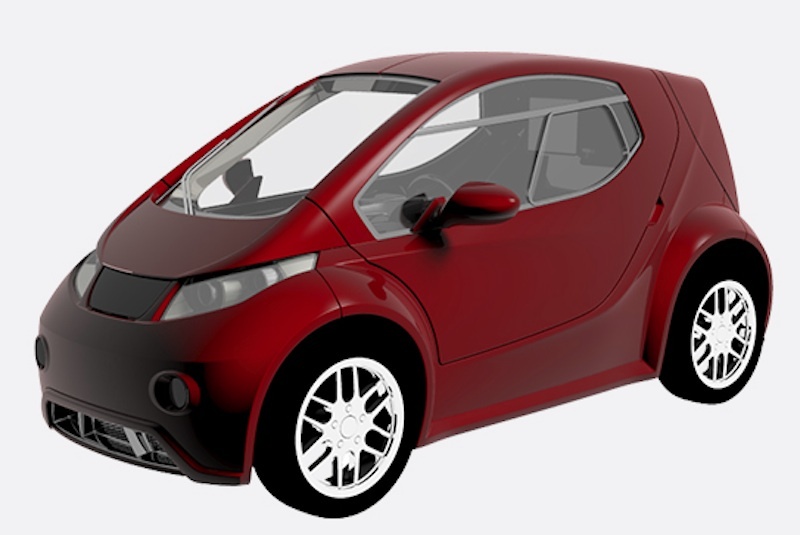 If you don't want any frills with your zero-emission car, the i was the way to go. The i started its sales life in 2011 with a $27,990 price tag, but that was jacked up by $1,135 a few months later because of "unforeseen changes in market conditions." Even with the increase, the i was on the lower end of the available EV price list and there were times when the Mitsubishi i was an even better electric bargain. Earlier this year, some dealers put $10,000 rebates on the hood, but that wasn't a national program. 2013, though, was the year for plug-in vehicle price drops, with the Nissan Leaf and Chevy Volt both losing thousands from their MSRPs. So, it really shouldn't come as a surprise that the i is also shedding dollars: Mitsubishi has announced that the 2014 i will starts at a price that's $6,130 less than the outgoing 2012 model. The new, pre-incentive price? $22,995. Factor in the $7,500 federal tax credit and you can be looking at a brand new EV for $15,495. To go along with the price drop, Mitsubishi is adding many standard features, making the plain car a little less difficult to enjoy. Heated front seats, a charge port lamp, leather steering wheel and "numerous decorative color/trim upgrades" should make the i more comfortable. On the technology front, a Chademo DC quick charge port and a battery warming system should help with range questions. You can see a full list of upgrades in the press release below. Oh, and the company is now calling the i the i-MiEV in the press release, so we should assume that shortened name is finished, then? If ABI Research is correct, our monthly math fest that is the green car sales report will soon take longer to add up. That's because ABI's recent report says that almost 2.4 million battery-electric vehicles will be sold worldwide in 2020, estimating that EV sales (excluding plug-in hybrids and extended-range plug-ins) will jump 48 percent a year through the end of the decade. That means that the estimated 150,000 EVs expected to be sold globally this year will increase to 2.36 million in 2020, with Asia Pacific representing the fastest regional growth rate. While EV sales have been what ABI calls "disappointing" so far, governmental support in the form of subsidies, infrastructure funding and concessions such as free parking, solo driving in high-occupancy vehicle lanes and congestion-zone toll exemptions will start boosting EV adoption during the next few years. The broader adoption of wireless charging and smart-grid usage will also move things along for the battery-electric driving set. While automakers continue to add EV models, just two – the Nissan Leaf and the Tesla Model S – are sold in the US with any sort of substantial numbers. Through the first nine months of the year, Nissan tripled year-earlier sales to 16,076 units. And while Tesla doesn't report monthly sales, the Model S moved about 9,900 units during the first half of the year. The company is expected to release third-quarter results early next month. Check out ABI's press release below (at link). While the top speed is limited to 74 mph, most drivers probably won’t even come close to maxing out this miniscule EV. A full charge takes just two hours from a Level 2 charger, and you can supposedly squeeze two of these tiny cars into a normal parking space. There are no plans to sell the Colibri in the U.S., and a planned 2014 launch date was pushed back to 2015. Though a car seems difficult to find a market for, Europe’s best-selling EV is similarly designed and priced. I am talking about the Renault Twizy, which doesn’t even have a fully-closed cockpit, but has found plenty of urban buyers looking for an alternative to mass transit. 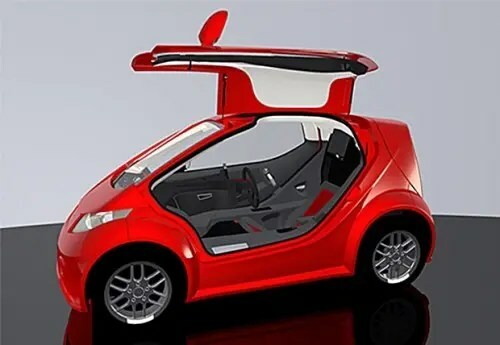 If the Colibri makes it to market, it could find a decent following, though America is still many years (and much higher gas prices) from embracing such a small, limited-use vehicle. Informative and educational video on EV batteries. He talks slow but he is very knowledgeable. He explains the differences in weight and power output discharge slope between a Lithium Ion and a lead acid type battery. The lithium, for the same amount of power and a very flat, reliable discharge slope, weighs half as much. This is a big deal because the lead acid package weighs in at over 700 pounds! They also can be severely discharged and still be recharged successfully. This is video 6 of a several videos on a conversion of a Karmann Ghia Volkswagon ICE powered car to an EV.